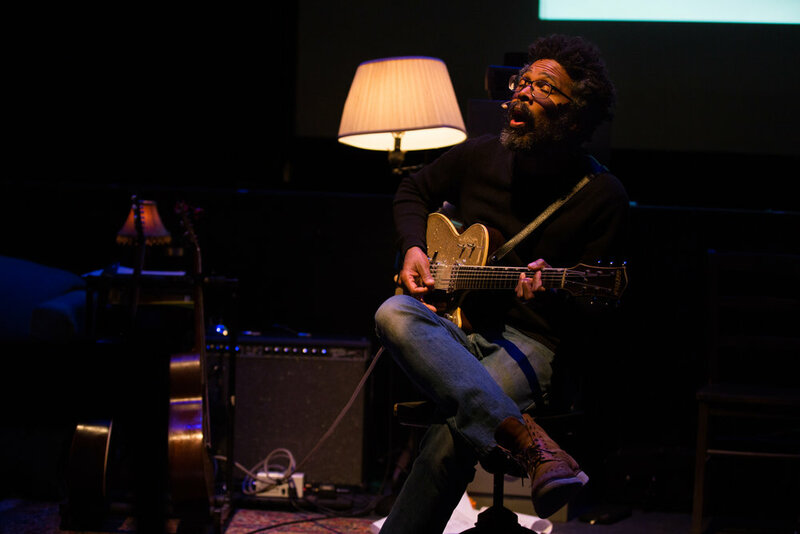 "A Star Has Burnt My Eye" went on tour at the end of 2017, with performances presented by Skidmore College, The Vermont Arts Exchange, and Castleton University. 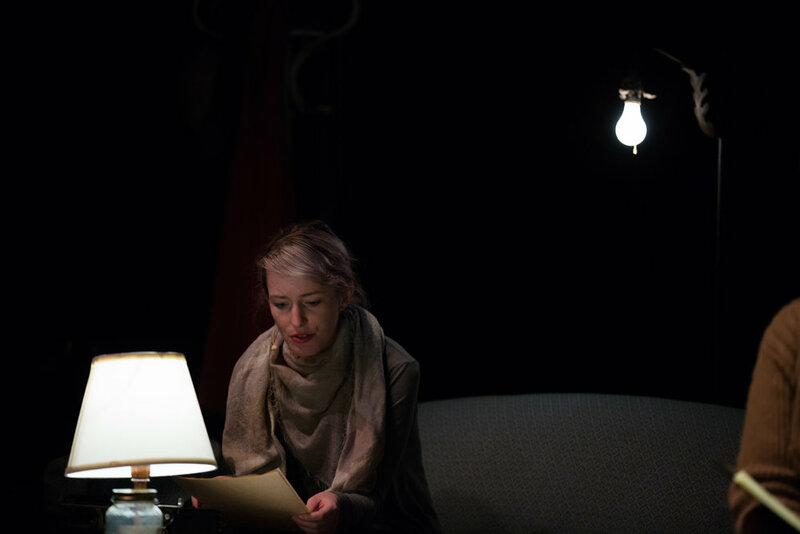 At Skidmore, we worked with the college's theater students and staff on a brand new iteration of the project, what we unofficially called "The Lecture Version" -- a performance that stripped away the fictional elements of the BAM version that premiered in 2016, and intensified the show's primary focus on the music and life of Connie Converse. 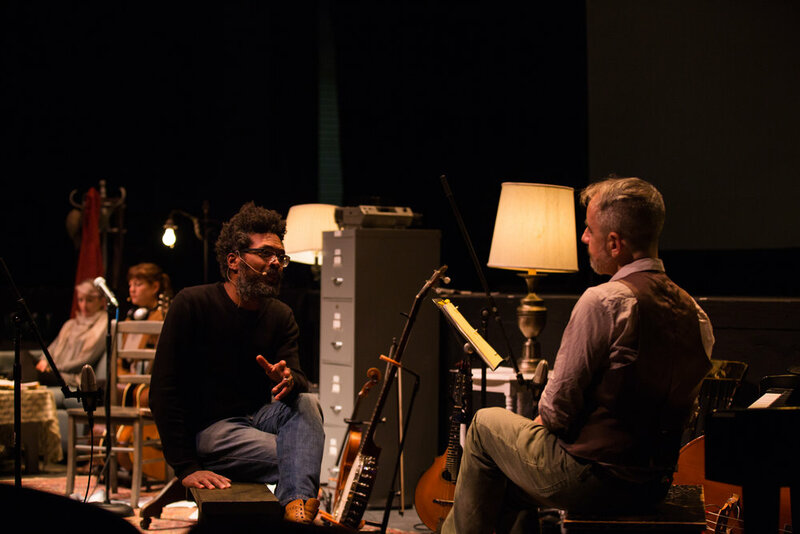 Two new cast members , Osei Essed and Dina Maccabee, joined myself joined myself and original cast member Charlotte Mundy for this tour, adding new musical elements and textures on viola, upright bass, mandolin, banjo, and electric guitar. Skidmore's theater department ran a nice blog post about the experience, interviewing some of the students who worked with us on the show. You can read it here. We took a break from preparations for the show to perform a multimedia evening at the Tang Museum, where we interacted with photographs from their collection. 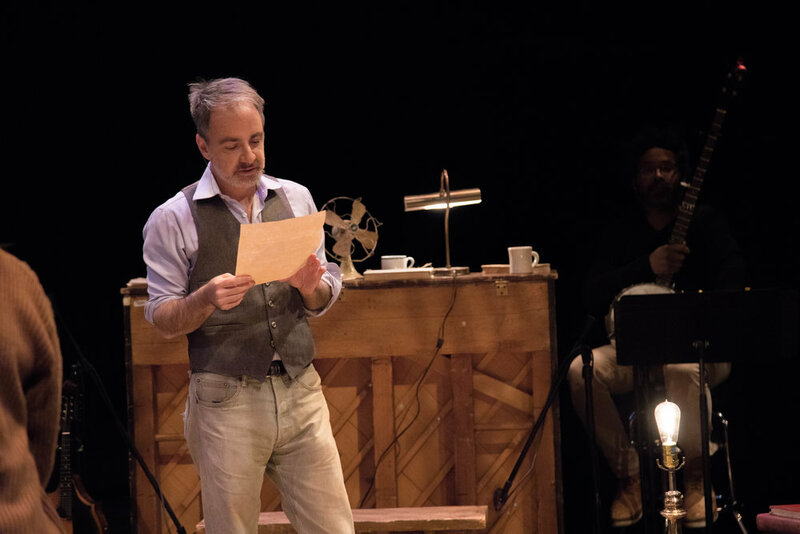 After the successful run in Saratoga Springs, the show traveled to Bennington, VT for a one-night only showing presented by the Vermont Arts Exchange -- the most intimate show of the tour, and one that featured no theatrical lights or amplified sound. It was a magical evening. From there, we moved up to Castleton University, where we kicked off our brief stay with an assembly for local grammar schools kids who were bussed in to spend some time with us talking about music.